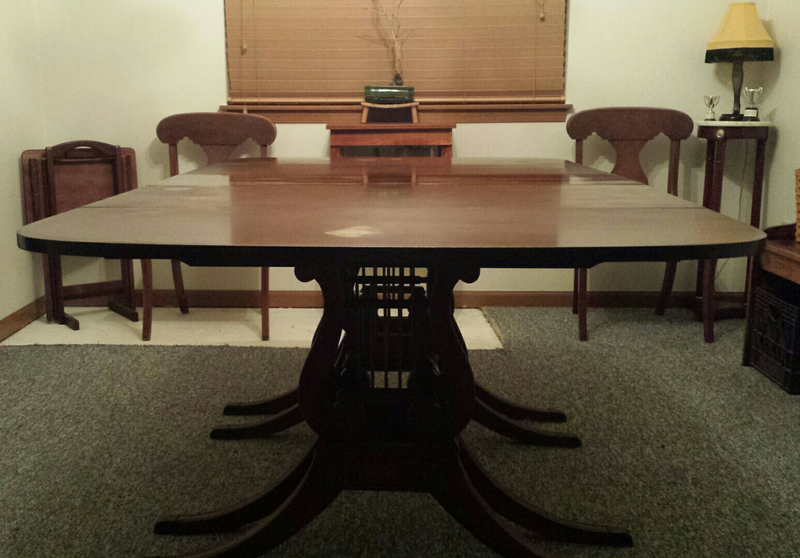 Drexel New Travis Court Harp Base Mahogany Table w/3 drop leaves, padded topper, and 6 Chairs. 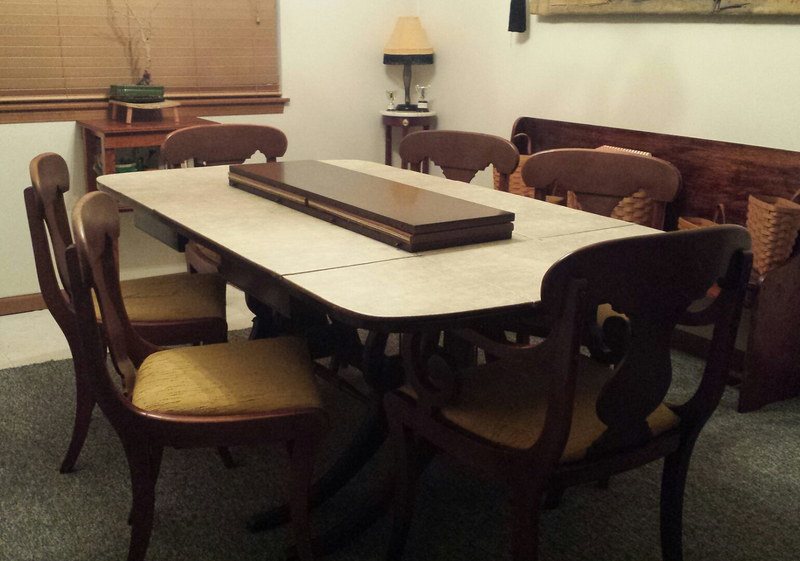 Sadly the market for furniture like has been flooded by the downsizing Baby Boom generation. 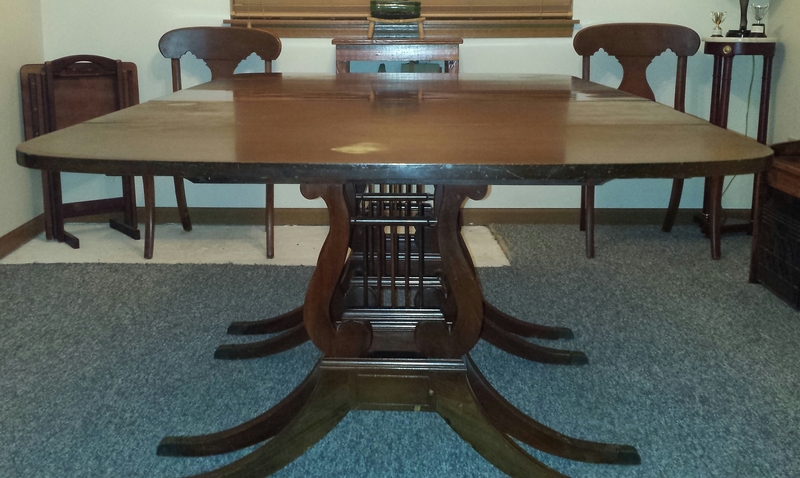 Currently whole dining suites in the Treavis Court line often sell at auction for less than $800.00.